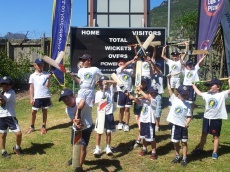 What a great opportunity to host our second Cricket School of Excellence holiday clinic in Hout Bay. 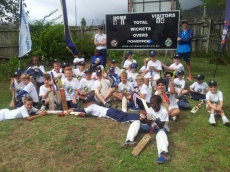 Firstly, we would really like to thank Hout Bay International School for their hospitality and continued enthusiasm in promoting cricket development in Hout Bay. 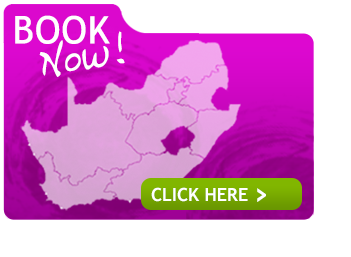 Just a short note to Kobus Stofberg, head of sport at the school, we are missing you are ready and wish you a speedy recovery. 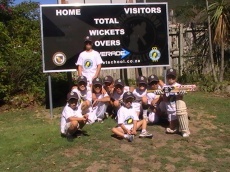 Our clinic got underway on 2 April after an incredible amount of weekend rain had left the nets and pitch unplayable. We even had rain interrupt us on the first day, nothing though can stop a cricket enthusiast and the boys took on our fielding exercises with gusto. Our apologies to the laundry bills after day one.